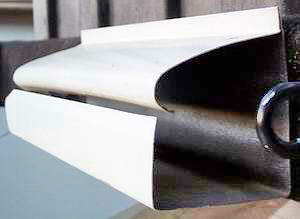 I was told that steel is a lot stronger than aluminum, and it seems to be true, so why should I favor aluminum gutters? Or what about Stainless steel and copper? We refuse to install steel gutters because it goes against our ethics. It is now very rare to see galvanized steel gutters, other than some very thin short parts found at the hardware stores, which are not to Building Code thickness and will not last even 10 years, which would be a waste of money and effort to install, so this is more of a non-issue. I've seen some flashing made of Galv-alum, but I have not seen this used for gutters yet. All the gutter coils sold here are painted mild steel sheet-metal that has not been galvanized under the paint. Anything is only as good as it's weakest link and these do not have nearly the quality paint than most any car finish has. It scratches a lot easier and will become faded and chalky within a decade. I would say they are painted with less than half as many coats and has no clear coat over it. Even if it was the same quality what car paint have you seen that lasts over 2 decades? These gutters will never get waxed like a car does, so they are not expected to hold up nearly as long regardless of what claims their Sales Rep might say. I have not yet seen them sell a steel with a powder baked surface like the leaf screens have that I use, so don't fall for that fairy tale either. (a) Strength, the bold-face lie! : Their best arguments for steel is how it is more rigid than aluminum. It would be true, but they neglect to add how Building Code requires all professional aluminum gutters to be formed with sheet-metal that is almost twice as thick as professional steel gutters to compensate for this short coming aluminum has. 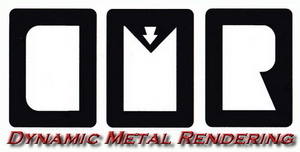 It is a high grade aluminum alloy mix that is stiffer than just aluminum by it's self. So it is about twice as thick and is not a metal that will rust if the paint were to completely flake off. As long as it is installed well with moderate care and cleaning there should be little to no reason you'll to need to replace them in the future. They can be cleaned and repainted with the house when that time comes back around, which you know will be needed before long. Damaged gutters from some sort of impact only accounts for less than 10% of gutter replacement, so even if there was a difference damage is still a minor concern. Steel gutters will not resist any substantial impact and they cannot be repainted inside, so they fail in short order by rusting holes through the bottom floor of the gutter, which accounts for around 75% of gutter replacement. The wholesale suppliers to professional Gutter Contractor do not sell steel sheet-metal coils in a thicker grade, since the rigidness of a thicker steel would only jam in the roll forming machine they use to form the gutters on-site. If they some how replaced the motor in that machine with a stronger one to handle this thicker metal, it would soon ruin the roller-bearings in that machine that are needed for the rollers to shape the metal into the gutter shape. That is why stainless steel gutters are rarely talked about, let alone seen on any houses. For this reason, the local wholesale suppliers do not stock stainless steel coils. 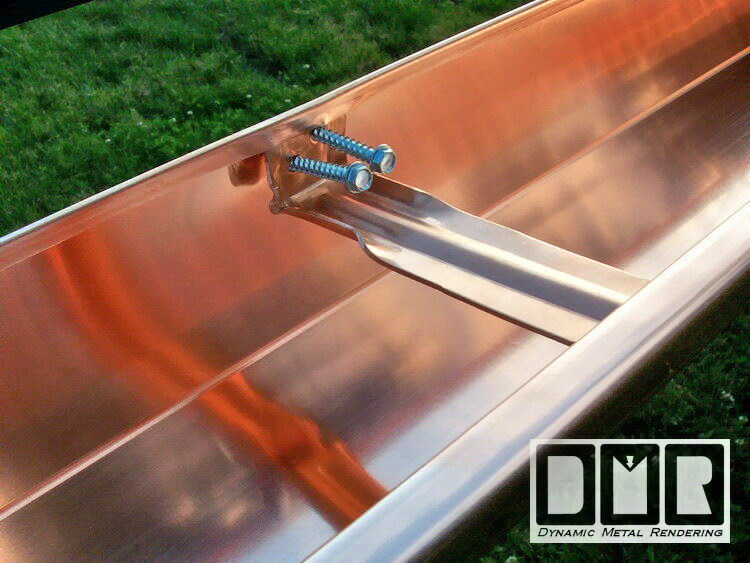 So if you want stronger gutters; 20oz copper is pretty much your only option. 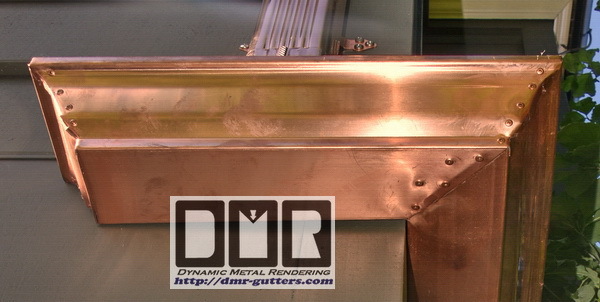 Copper is a very malleable metal, but the 20oz copper does bog down our machine quite a bit. The machine is just barely able to push it through. (b) Looks: Their second best claim is that "you will want to replace your filthy gutters after 15 years anyway for nice shiny new ones that are the latest fashion and color! So rusting gutters is a non-issue" This may be true for some people. How do you feel about that argument; suggesting planned obsolescence? Rusting gutters accounts for the majority of our gutter replacement by far. If that does not tell you the good and bad of gutters, what could? The way I see the true looks of steel gutters is the permanent rust stains on the surfaces below it. Even when the rusty steel is replaced, the stain damage remains. Besides that most of what you are paying for is their labor, business expenses and profit. A small percentage of what your end cost is the cost of the materials used, so a cheaper metal that will not last is actually a lot more expensive in the long run. (c) Longevity: Standard steel gutters will rust through within 10 to 30 years; depending on how clean they are kept and the amount of tree fall-out your roof is subject to. In this area we have a lot of tall trees and most Homeowners do not keep their gutters well maintained, so we need to be realistic here. Plenty of replacements are because of poor installation, but that is still not the majority. I've replaced some very expensive custom steel gutter systems on businesses and churches that were over 4 times as thick as standard steel gutters, yet even those super thick steel gutters had rusted completely through the bottom within three decades. Aluminum gutters would have been less than half the cost of those custom gutters. They were so thick they had to be welded together at the seams. One of these were on a Stuart Anderson Cattle Co. Restaurant over 15 years ago, so I know they could not have been more than 30 years old, but those very expensive steel gutters had still failed in far less time that aluminum gutter would have. (d) Expansion and Contraction: Proponents of steel will exclaim how aluminum will expand and contract far more than steel. Steel being a much more stable metal. It is true there does seem to be a slight difference between these two metals. We are talking about maybe a millimeter per 10' length. That statement is assuming a wood structure will not shift and change as well. You need to garner cautionary claim with the obvious motivations of those Sales Rep who push steel. Expansion and contraction needs to be factored in with any long gutter system regardless. Although a detail they will not properly factor in the installation from the many thousands of steel gutters I've replaced. Perhaps if you are i need of gutters for a steel pole building perhaps steel gutters would expand at a similar rate, but the thickness of the steel of the pole barn structure will affect this issue, so they are not likely to expand the same as thin steel gutters. It is more how they are installed that will make a difference as to potential problems. It is advised to not install aluminum or steel gutters longer than 40' to 50'. Especially if the ends of the gutters are attached to another gutter at a corner. You cannot make a seamless corner, so the change in temperature can cause the metal length to change, where it can only push and tug on those corners; pulling them apart. Long gutters need an expansion joint in the middle to relieve this tension. In an extreme case I've seen where a gutter contractor installed a pair of gutters that were 150' each, overlapping to connect them in a 300' long straight side of that commercial building. That other gutter contractor would have made it in one piece, but they did not have the manpower to install that long of a gutter. The seam not only pulled apart and leaked. It ripped one gutters off the building, and the other would have followed in time. There were 5 downspouts on that side of the building, so I was able to break it up into 5 separate gutters of around 60' each. That was still longer than I should have done, but I had little choice. I then capped over the two end-caps that were near each other, so it would not dribble between them and added a 1' piece of gutter under it with the bottom bent wider to hid the gap. Another alternative I have done is to design the ends of the gutters to be at the downspouts to dump into a scupper. If there is not enough downspouts to do this, there is a rubber expansion joint as well that can be used. 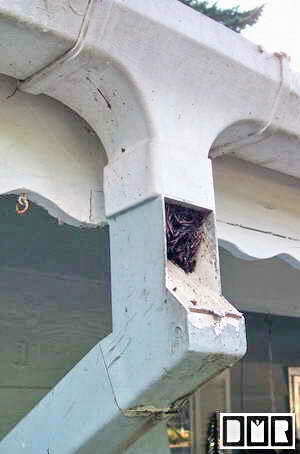 They are hidden inside the ends of two overlapping gutters, but will jam with debris if not cleaned out frequently. (e) Leveling: Most steel gutters will last about 15 years. Maybe more if they are kept very clean and were leveled properly when they were installed (which is very rare to find), so that there is no standing water in them. The main problem with this is that from what I've seen from the removal of over a couple thousand sets of gutters, most installers do not even use a level to compensate for such irregularities on a house (which I do see on most every house), so few steel gutters will last. Even new houses are not built truly level. With all my gutter installations I actually add a slight grade towards the outlets, so there is not only no chance there can be any standing water, but they should rinse themselves out in a heavy downpour. The only time I wouldn't install gutters with this downward grade is if the home owner insisted. I would caution them again about the benefits of a healthy grade, but must leave the final decision up to the home owner. Luckily, this is rarely an issue, but my installations will look more crooked than others to be more functional. There is no real advantage to steel, other than the cost. With labor being the majority of the cost, the cost difference is clearly not worth the disadvantages listed here. You will do well to not hire any gutter contractor who pushes steel, and to find a contractor that will install rust-free gutters correctly. I refuse to install steel gutters, for we do not believe in planned obsolescence! It would go against our ethics. That is one point we will not concede. Manufacturers typically claim a 20 year warranty on the paint finish, and aluminum sports a 40 year to life-time warranty on it's failure, depending on the companies moxy. Aluminum has been used in making gutters for over 50 years now and we have yet to find aluminum gutters that had rotted through the bottom. The only reason that I've had to replace aluminum gutters is because of poor installation, or because of damage from fallen tree branches or a truck being backed into them. Although dents are more the rarity. Keep in mind that steel gutters really do dent just as easily. Remember, steel may be strong, but a much thinner sheet-metal (see (a) above). Stainless steel is stronger than steel, but because of this it is even a little thinner than the steel sheet metal used for gutters, so that blows this advantage. Since stainless steel is about the same cost as copper, it is rarely sold, hence the wholesale suppliers do not carry a stock of stainless steel. It is also rather odd looking on a house, since it remains that shiny silver. We have seen roof valley on the Mormon churches we've worked on that are stainless steel, and they remain a bright eye sore. They should have used copper, since it is about the same cost for thicker metal, and is a metal that is meant to be seen. 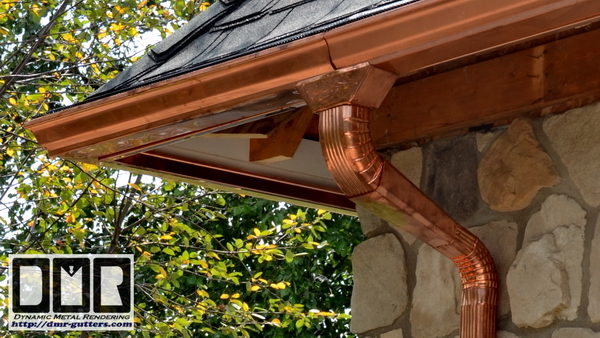 Copper gutters are a good way to go for several reasons. 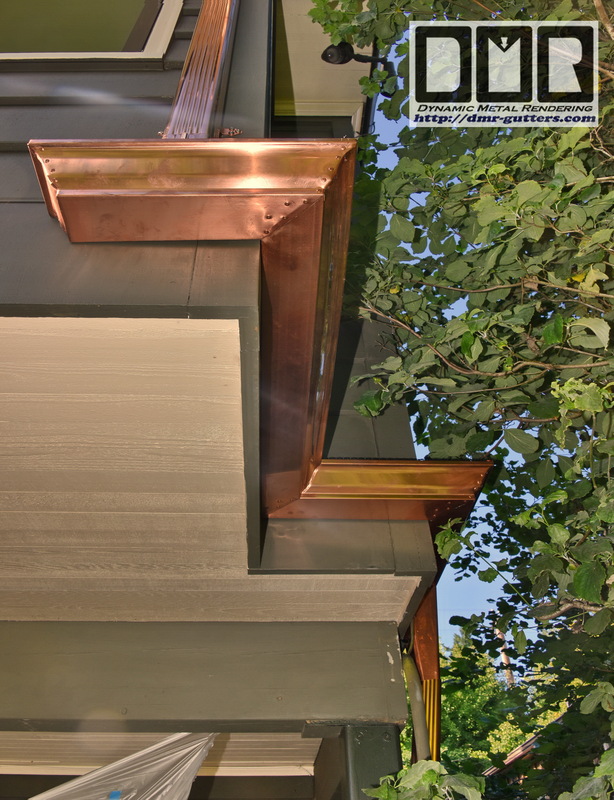 I try not to push copper gutters, but the one practical advantages are how you will have no need to deal with the painting or even cleaning issue again, since they will not mildew. 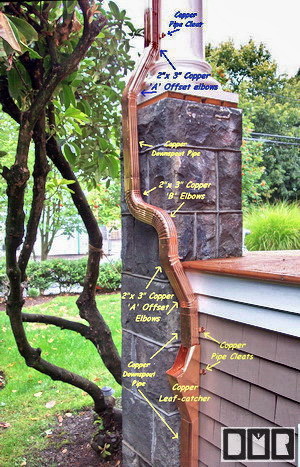 Although a lot of Homeowners buy copper gutters for the bragging points. It is the posh thing to have. What about plastic gutters that will never rust? (a) Plastic gutters are even worse than steel gutters. They may not rust, but the sun will break down the plastic within a decade and they become very brittle. Depending on how clean you keep your gutters, steel gutters will last about 15 to 20 years at least. (b) Even when the plastic gutters are new, they do not have the support to lean a ladder against them to clean them out or access the roof. Don't try to lean a ladder against them, or they will collapse and or crack, depending on how old they are. (c) The rubber seals that join plastic gutters at every 10 foot section are made of a cheap rubber and they seem to fail in even less time than the gutters. (d) The exterior supports are unsightly. Do you want to look at your house and see it look to have obvious exterior plumbing on it? (e) Plastic gutters are not recyclable, which means we have to pay an extra dump fee to get rid of them. There for adding to our land fill problem. We also have to charge more for removal to cover the disposal cost. (f) The connecting parts are so expensive, it can cost almost as much as hiring us to install aluminum gutters. (g) We refuse to install plastic gutters, for we do not believe in planned obsolescence! It would go against our personal ethics. (h) Most of the plastic gutters you see are just amateur parts bought from the local hardware store by do-it-yourselfers, and are poorly installed. There is no good application for Plastic gutters! Enough said? Will the K-5 gutters you install look best on my house and be up with the latest fashions for housing trends? Fashions need to change over time. Back in the early 70's they came out with the plain face fascia type gutter look to give a more modern appearance to these simple houses. It took time to transition over to these from the previous standard K-5 gutter, but over the last few decades it had come to be the standard for over 90% of the new construction through the 80's and 90's. 1. They had reverted to installing cheap steel gutters instead of aluminum, since the CCB only requires a one year warranty. 2. These gutter machines were cheaper with a much simpler set of rollers to form these fascia gutters with fewer bends to it. 3. This taller profile allowed the general contractor to save by not installing any fascia boards on the rafter tails. 4. They also saved money by having this gutter machine bend a small 1/2" lip on the back side; that is to go over the plywood edge. This way the roofers did not have to install the standard 1"x 3" dripedge flashing at the roof edge any more. 5. This lip over the plywood roof edge also eliminated the need to use a level when installing gutters, since there was no choice to do anything other than install the gutters straight with the roof edge. This sped up the installation process, again saving a lot of money. 6. They also gifted you with a more modern look by not purchasing the curved downspout elbows any more. They just cut the straight downspout pipe with a hacksaw and folded it. This works well if you have a debris free situation, but tends to cause an annoying dripping noise inside these tin downspout pipes. I have even seen them do this on a copper set of gutters on a Street of Dreams house in 2003, if you can believe that? 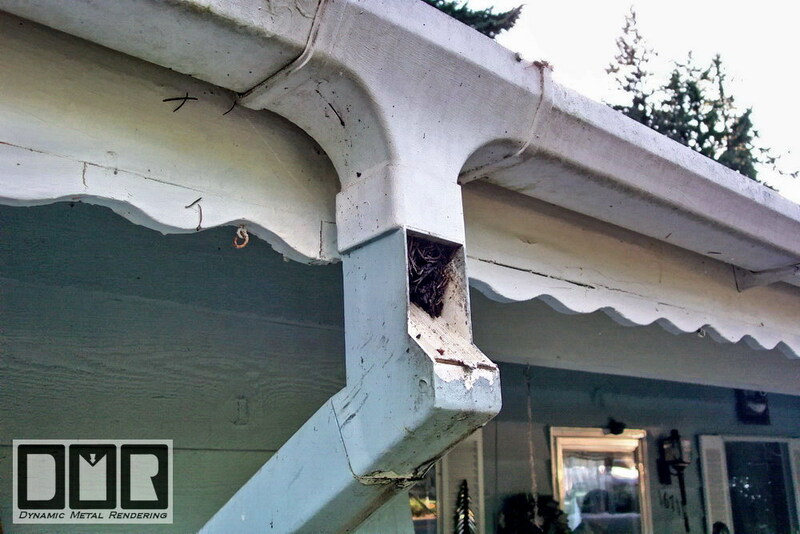 In this new century, fascia gutters are getting real old after the last 30 or so years of dominance. Not to mention they simply do not work well. I see the trend reversing to the previous k-5 style wood molding shaped gutter. 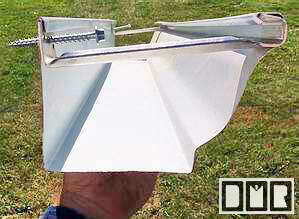 (a) The Leaf Guard ® gutters and other similar types only work in debris free situations (see our Comparison Web Page for details). also they are far too expensive, since they cost as much as expensive copper gutters. General contractors work to keep housing prices down and maximize their profits, so they are far too cheap to ever go that route. That is why you never see copper gutters on a new house, unless it was specifically ordered that way by the buyer and are willing to pay through the nose for them. 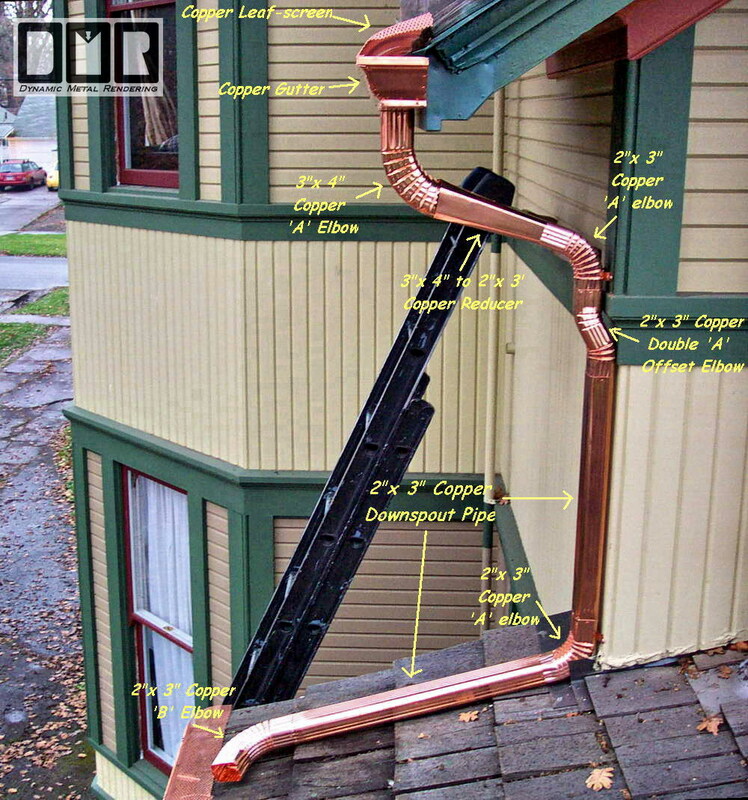 (b) Even though the older half round gutters are cheap, since they take less sheet metal to make a 5" gutter, they were made from one of the very first continuous gutter machines, before they developed more complex gutter machines, and were obsolete about half a century ago. They are a terrible way to go, since they are too shallow, very hard to level, do not have the strength to resist the pressure of a ladder against them, and look worse than plastic gutters; in that they look even more like your house was fitted with external plumbing pipes. Because these half-round gutters are crap and ugly, there are very few Gutter Contractor in the USA who still have a half-round gutter machine, so they could never keep up with the demand of new construction. (c) See just above for the reasons the plastic gutters are utter garbage. I do not know of any other viable options out there. There is a push to make houses with a more classic styling as well, so that is why the K-5 wood molding shape is coming back in style. Even when they were making the older half-round gutters, the K-5 gutter would have been what looks better on those houses to match the existing wood molding, but they simply did not have that option back then. Gutters should be as inconspicuous as possible. What is a right way to install gutters? (a) Each time the gutters are replaced, it tears up and weakens the wood that the gutters are attached to, so I gave up installing gutters with nail spikes over 10 years ago. In fact, I only used them once. I realized right off the bat how terrible they were. So I researched for a better method. 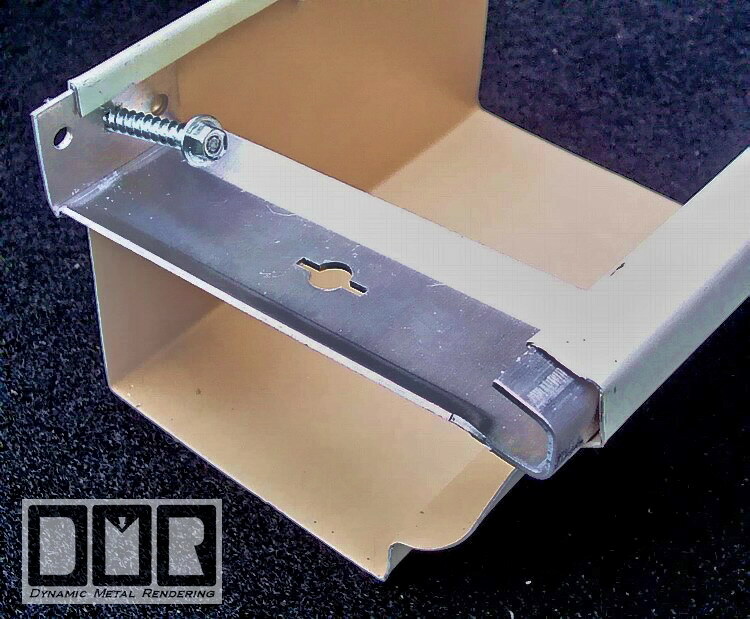 I use an extra strength hidden hanger, with hex head galvanized wood screws that I order from a supplier back East, since the supply and demand is such that the local suppliers have do not have the incentive to stock the better parts that are available. (b) I place these hidden hangers every two feet, which is twice that of building code. Placing them every 2 feet is especially helpful when you lean a ladder on them to clean out your gutters, or when someone needs to work on your roof. It is far less likely to dent and cave in. These brackets are more common where they have severe ice storms, and they have whole sheets of ice would slide off the roof and just slam the gutters off the house. They also leave a much smoother appearance, like the wood molding they are to resemble. (c) We all know how screws hold a lot better than nails. In the old days they did not have a steel molding process to mold screws, so they had to be turned on a lathe from a solid stock of steel. Nails were the only thing that was affordable. These days we do have inexpensive screws. They do still cost more than nails of course, but they would only add a tiny amount to the whole contract cost. the best part about screws is that if the wood I am attaching to splits and cracks, or there is too much dry-rot, or even if the screw strips out the wood it is suppose to grip to, I will always know it. The screw will not cinch down tight and I will not feel the drill kick back. It will just continue to spin. I then can back out the screw, change the angle, move the bracket, or change to a longer screw. I know if it takes every single time. Nails will not be able to give the installer that kind of indication. (d) It is a fact that most installers in the NW are still using nails in these modern days, since all they care about is the bottom line. It is simply because the Gutter Contractor are too cheap to buy and replace a powerful $300 18v Makita cordless impact driver like I use. Also a lot cheaper to replace when they get lost or stolen. (e) When we are installing a 55 foot long gutter on a house, the hidden hangers are all in place with the screws started in the back, which stabilizes the gutter a great deal. It only takes one person to install it. It may be bowing a bit, I set the center screw, I cannot see quite how the end fits to the edge of the roof. I go to the end of the gutter and measure how far I need to reset that center screw, then I go back to the middle and reset that screw. I go to that end that is away from the outlet and pull it up as high to the roof as possible and set that screw. I then work the level, giving it a slight grade down towards the outlet and set the screws as I work my way to the center. Most times the center screw is not set to the right height, so I then reset it again. I then work my way to the other end. You cannot do that with nails. Enough said? 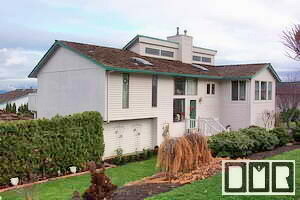 What about the damage caused by icy snow sliding off the roof and denting and or dislocating the gutters? Back in 1994, I was removing one short 16' gutter, without bothering to cleaning the leafy debris first, not guessing that the Mt. St Hellens ash was still in the gutter under the leaves since that 1981 blast. When I removed the last nail spike, the weight of that gutter was so much that it dropped out of my hand and dented the metal shed under the gutter. We had not seen that sort of trouble since Mt. St. Hellens first blew and the weight of the ash the washed down off the roofs pulled a lot of gutters off houses well before I began to do construction work. This issue had been the main motivator for my doubling up on gutter support brackets and using only screws to install gutter, since I began doing professional gutter installations over a decade ago. This snow damage issue had not been much of a problem here in the Portland Metro area, since we normally do not get those sort of weather conditions here. 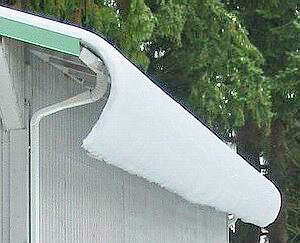 But in the Winter of 2003/04 we did get a serious weather condition that did damage a lot of gutters. This was especially a large problem with metal roofs, where the house would warm up the snow from underneath and the snow would slide off, even on low slope 4/12 pitch roofs. Even with a few of the gutter installations we did, that snow broke off the screw heads the held the gutters up. Believe it or not, the aluminum gutters and brackets held up, but we saw that we needed to prepare better for the future and compensate for this sort of natural disaster. 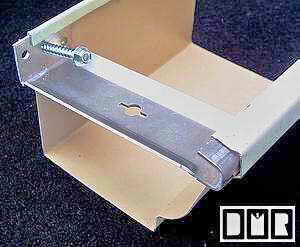 We began in early 2004 to change over to stainless steel screws and to double up on each hidden hanger bracket. So it equals one screw per foot of gutter, which is 4 times the building code for gutters. We wrote up a whole web page devoted to this issue, s click on the photo above to read more and see other photos. Do gutters need special leveling, other than how the roof line is already? In talking with home owners and from replacing several thousands of sets of gutters, Ive found that few installers even bother to use a level when installing gutters. They just install them straight with the roof edge, in hopes that the structure is not so out of level that the top of the gutter opposite the outlet is not lower than the bottom of the gutter at the outlet. It is true that it does not take much debris in the gutter to upset this balance and cause the gutters to over flow at the low point, but even beyond the fact they are only required to provide a one year warranty, the Gutter Contractor can simply claim no responsibility to keep your gutters clean. Fascia gutters are even deeper, making the margin for error even harder to detect. Most fascia Gutter Contractor set their machine to bend the backside of the gutter to lay over the roof's edge. Although this installation does not allow the option to level or grade the gutters down toward the outlet, so that it would rinse themselves out in a heavy downpour. I have yet to work on a house that is properly level, let alone was built intentionally sloped to drain toward the outlets. Its not unusual where I have had to drop the gutter down 2" or more at the outlet, just to level the gutter. If I work to give the gutters a slight grade down to the outlet, they not only will better be self cleaning, there is much less chance there will be any standing water in the gutter to possibly cause problems in the future, so they will likely last far more than a year. 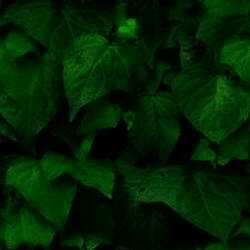 They also will not be breeding ground for mosquitoes and smelly bacteria from the decaying debris. That is why cleaning gutter gunk smells like S - H - I - T. I sure hope you use gloves when cleaning out your gutters! 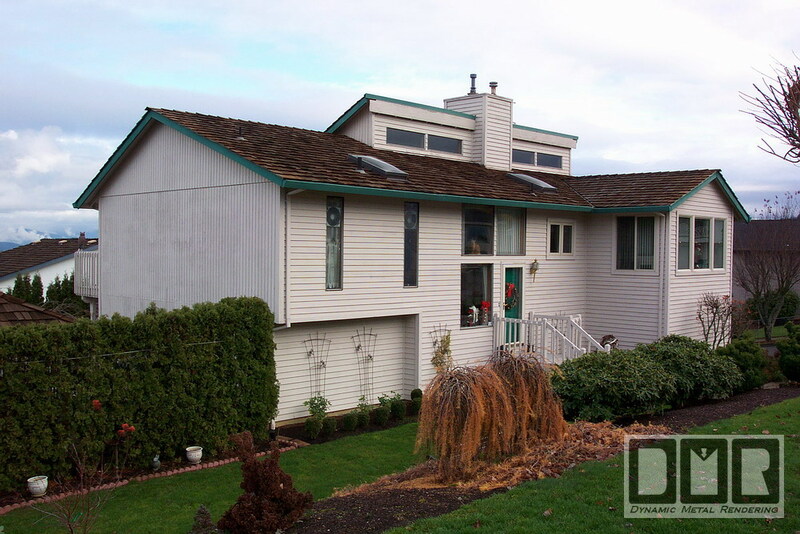 What is drip-edge roof flashing, and why do I need it? A proper drip-edge roof flashing is suppose to be installed across the roofs bottom edge by the roofer before the shingles are nailed on. 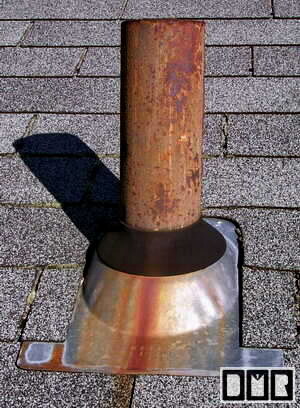 It is to reach up 3" under the edge of the shingles, and hang down an inch into the gutter. A far cry different from the small half an inch lip on those cheap steel fascia gutters, compared to the drip-edge's 3" reach. One of this flashings primary functions is to keep the rain water from soaking up under the roofing shingles and causing dry-rot of the plywood roof. 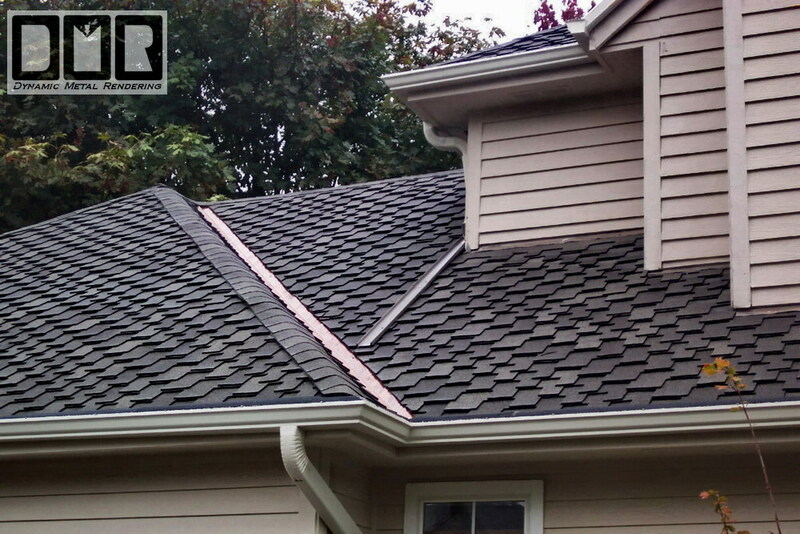 The secondary function is to seal the gap from the roofing shingles to the gutter, so the rain water does not dribble behind the gutter. that would also cause dry-rot to the wood that the gutter is attached to. Causing gutters to come loose, and even fall down. Most home owners are familiar with seeing those large nail spikes that hold the gutters on, coming loose and sticking out. You can have them hammered back in, but the damage is done, so they will not hold tight again. The sad thing is that with most re-roofing, there is no requirement to file for a building permit, so there is no inspector called to make sure that your house is being serviced correctly. There is so much need for re-roofing in this area that it would overwhelm the building permit office. They use the excuse that re-roofing is not changing the structure, so they let this type of construction slip. Is it Seamless or a Continuous Gutter System? I think I want continuous seamless gutters, don't I? The issue of continuous gutters is a very important detail, and is one of the most defining detail between a professional installation, or just shoddy workmanship by someone who may not know what they are doing. There is no such thing as a really seamless gutter. Each end-cap is a seam that could leak. Where there are corners of the house that has a wrap around gutter system the gutter cannot be seamless of course. In those corners a professional installation would have just one seam, where those ends of each gutter have been sealed together. Not using a strip miter piece, or a larger box miter, which has 2 to 3 seams, which can rip open over time and leak. They may look OK, but this is a sign of amateur work. Not professional. To form a custom length continuous gutter to fit your house is what a portable gutter machine is all about. It is designed to transform a long flat coil of sheet metal into the shape of a gutter, and could produce a single gutter up to 1,000 feet long in aluminum from a single 400# coil. Although, it is unwise to install a gutter longer than 40' to 50' long. Especially if there is a corner at the end. Consider how any metal will expands and contracts differently than the wood structure it is mounted onto. Gutters should never be installed in such long continuous length, or it has a tendency to rip its self loose from the building. With even just 1/4" movement from this expansion and contraction at the corner will rip the corners open. There is a reason they make rubberized expansion joints for this purpose for, and there are a few other way I create these needed expansion joints on most of the gutter job I do. Yet this is extremely rare to see done by other Gutter Contractors; when all they are required to do is get past the minimum 1 year warranty, which defeats the purpose of using a long lasting metal that will not rust out. Without this carefully implemented I would say there are no other truly professional installers out there, since they are not willing to redesign your gutter system, or teach their installers to utilize expansion joints. If there is enough outlets, I often split long gutters up by placing two opposing end-caps at least 1/2" apart. I then cap over the two end-caps, so it will not dribble between them. I then make a short piece of gutter to cover those end-caps from underneath to hide the gap. This has an additional benefit, making the gutters more modular. If a large tree branch falls and dents the gutter, or a delivery van backs up too far and crushes the gutter there is only half the gutter to replace. I also implement expansion joints at the outlets where possible with a special tray I make, since I could not attach an elbow to those 2 ends of the gutter that need to be able to move a bit, as shown here. What about sealing the seams on gutters? Most Gutter Contractors install the flat face fascia gutters and a cheaper caulk, because those corners are so much easier to miter than my K-5 style gutter profile. Also there is less need to buy end-caps when it is so easy to just fold the back side over and form a simple end-cap. Most of the gutters I have removed had less than half a dozen nails and zip-screws holding the corners together. It is very rare to see rivets used. The zip-screws they use are a cheap and quicker way to bond 2 layers of thin sheet metal, where the screw cuts through the 2 layers, pulling the second layer towards the first layer after stripping out the fist layer, and hopefully not over doing it, which would strip out both layers and not hold them together. With rivets I have to first pre-drill an 1/8" hole through both layers, load the rivet tool work the rivet into the holes, and squeeze the hand tool to swell the other end of the rivet, which bonds the 2 layers together. This riveting would only fail the way zip-screws do if I were to use a drill bit that is too large. Those zip-screws are not a rust-free aluminum, or stainless steel, so they will fail either way over time. The rivets I use are made with the same type of metal as the gutter. Also, I used 12 to 17 fasteners on each corner. When they use so few fasteners in a corner and no expansion joints (as described in the section above) it is bound to fail not long after the new gutters are installed. Amateur installers will always buy the factory-made corner pieces for the K-5 style gutters, but the better installers will miter their own corners, so there is only one potential leak, instead of three seams. If you see those pre-formed corners, it is very telling of the installer's competence, and there are most likely many issues that are lacking. Since they do not sell corner pieces for anything other than a common 90 degree outside or inside corners, so this leaves those unskilled installers lacking to complete many gutter jobs that have other angled corners. How we seal a corner makes all the difference. In the old days all they had was solder to seal gutters with, since they did not have the advanced caulks we have these days, but it is now very rare to remove old gutters that had been soldered together. It worked plenty well, but it was dangerous to have an open flame torch so close to the wood structure and burning the paint. Solder was not a sealant that could be used on aluminum gutters. I use a caulk called ProSeal 34, which cost over 3X more than the caulk sold at the local wholesale gutter parts suppliers, since other Gutter Contractors are too cheap to get the best caulk the Suppliers have no reason to stock what I have used on each gutter job over the last 2 decades. It is a sad fact that I am still the only Gutter Contractor in the area to buy this better caulk. We also use this caulk and copper rivets on the copper gutters we install, instead of soldering the seams together. What can be done about the river of rain water pouting out of my roof valleys and shooting out over the gutter? I've had a shield made and attached to the top of the gutter over the inside corners, but it looks ugly. Is there a better solution? Valley are certainly a Gutter Contractor's curse. To deal with this sort of rain management night-mare on many residential roof situation has proven to be far too much for most Gutter Contractors. It's also an issue where an upper gutter drains onto a roof (as seen in this photo). 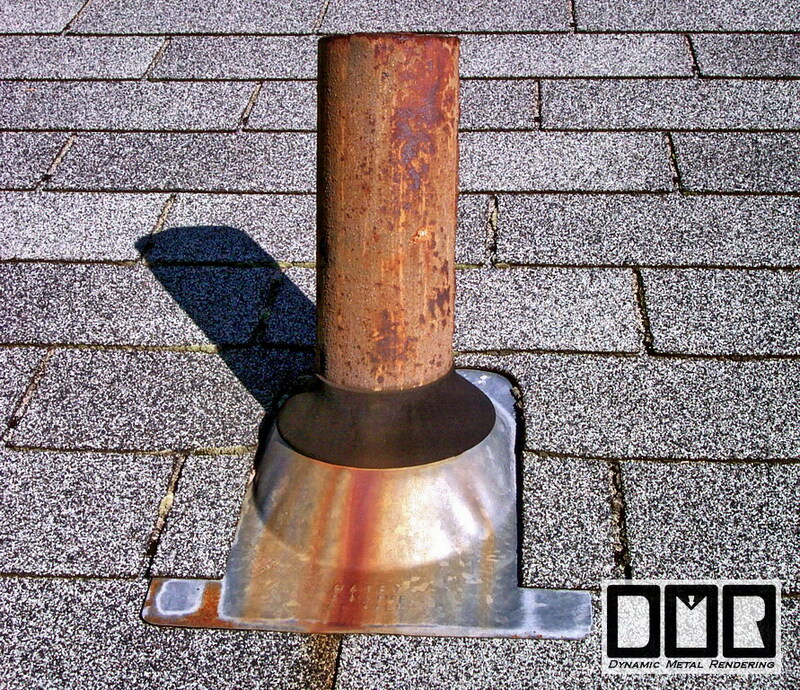 This is commonly the worst problem area of a roof line we face. 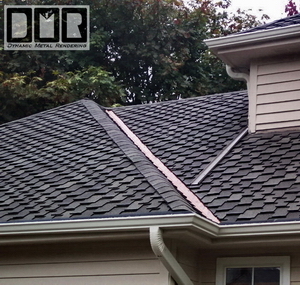 There is no type of screen that can be used to cover a gutter at the base of a roof valley or an upper downspout. At least here in the Northwest, where we have lots of very tall trees overhanging the roof. It will just become clogged up with debris before long and carry the rain water out past the gutter. Even without a screen over the gutter it is very common to see it shoot out over the gutter at these inside corners. In most cases there is a very simple solution of cutting into the bottom of the metal valley pan to bend the edges downward in order to wick the water down into the gutter, yet for some strange reason this logic has eluded most every Roofer in business for many decades now. 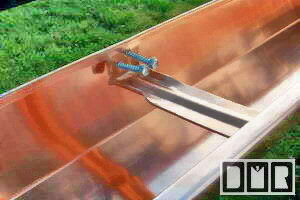 With this simple solution there is no need for those unsightly shields mounted over the gutter rim. It is best if it has a soft curve downwards. Not a sharp bend. 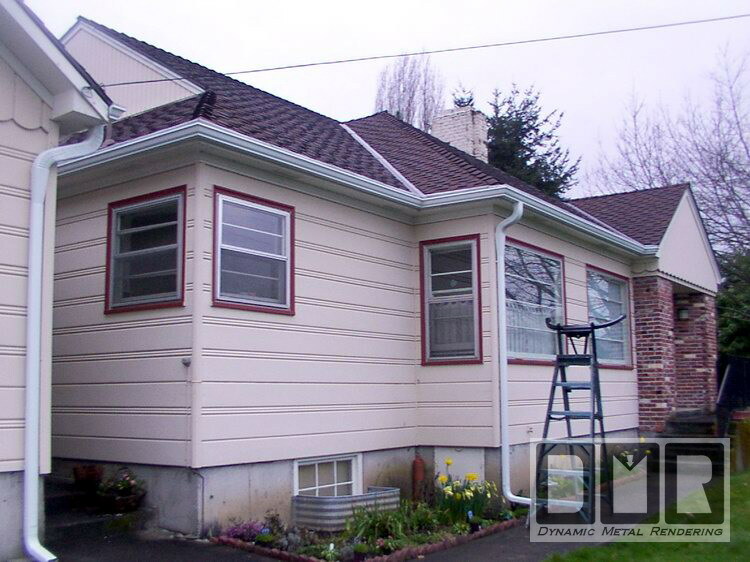 I tend to make this adjustment in the course of replacing gutters, so this issue is resolved. Although, this is not a common practice, even when you have begged the Gutter Contractor to solve this issue. Since we cannot cover the gutter with screen in these areas a good amount of debris will be collected in the valleys and forced down into the gutter and clog it up very quickly, required frequent maintenance, which is another reason the larger outlet and Leaf-catcher option is so imperative. I commonly can shove a screen that is curled upwards at the base of each valley to hold the accumulated debris up in the valley while allowing the rain water to strain through into the gutter, but the down side is how it will rust out the steel valley that much sooner and possibly becoming a damn that could force water up under the shingles if not cleared out regularly. The screen would help slow down the water a bit, but may also make the water splatter out some. I wish there were a perfect solution to this, but to date I've yet to find a better way of dealing with roof valleys at any cost. After doing it this way for over 2 decades I seem to be on the right track with no complaints. That stat surprises me as well, since nothing is perfect. 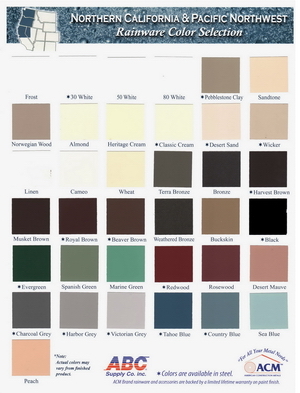 The aluminum gutter coil I buy from the the 2 main local Suppliers I use comes pre-painted in about 40 different neutrals and colors (see my Colors web page to see the list). They have not changed the painting technology much in the last few decades. This is a baked on enamel finish, like a car finish, yet not quite as durable, but is still better and smoother than any paint you can put over them, like a heavy house paint. Even the touch-up spray paints sold at the same wholesale gutter parts suppliers are noticeably inferior to the original baked on finish these parts come in, which fade and peal off much sooner. I do stock gutter coil and all the downspout parts in each color, but the Wholsale Suppliers do, so they are readily available. Can they be pained later? 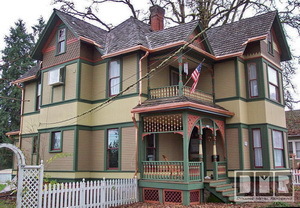 What if your colors do not match my trim paint? Most of the colors are earth tones. If you can find a good color match, or a color you like, you would do well to get your gutters in that color, and maybe re-paint the rest of your trim to match, if needed. Most all other installers will charge you extra for colors other than white or dark brown that they keep in stock. They have done this so much now that they have trained most Homeowners to the point that white gutters account for around 60% of what is being installed. It is of course simple to just draw from their stock of white parts they can buy in volume. I actually discourage our Clients from choosing white or other light colors, because it shows mildew stains so badly. Like buying a white car and needing to wash it twice as often. I feel that it ought to be a matter of customer service to provide the right color suited for your house. It is true it does cost me more to provide other color options and have to make these small purchases for each gutter job. It is a hassle to spend an extra part of my day getting those other colored parts, not to mention having to spray paint the corners and the other specialty downspout elbow parts I use (especially on a rainy days). But I would rather it look right, like it was meant to be on your house, and you feel good about my work when I am done. 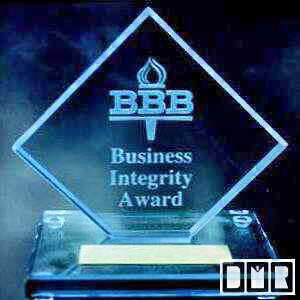 It is much better for my referral business as well. What about downspout elbows I see on other houses? 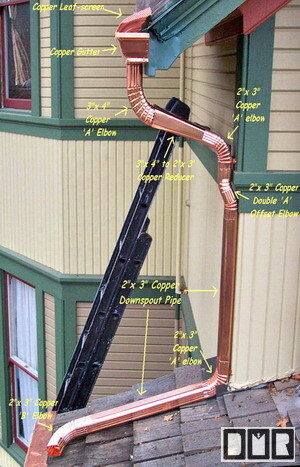 I stock 3 times as many types of downspout elbows as other installers, to give your house a more customized fit. But these specialty parts dont come in all those other colors. I stock them in white and have to use the touch-up spray paint to get them to match. Of course with copper parts this is simply not an issue. In fact, when they put up fascia gutters, they dont use any elbows at all. They just cut into the side of the strait downspouts with a hacksaw and fold it. This cheap method is notorious for getting debris clogged in the downspouts. The fascia gutter bottoms are so narrow, they are also unable to utilize the oversized downspouts we offer for a no-clog gutter. 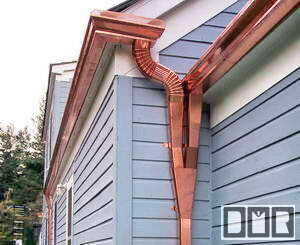 We have even seen recent Street of Dreams homes with copper gutters that had the same sort of plain square downspouts and did not have any curved elbows? That was insane! The smooth rectangular steel downspouts they use are even smaller than the standard corrugated aluminum down spouts that I use. I can fit those downspout inside the ones I use. I also attach the downspouts with a thick bracket that I rivet on the backside, and anchored with special coated Phillips screws for easy removal. This way you can paint behind it, or access the underground drain if needed. I have seen a lot of downspouts detach from the bottom of the gutter, so I install the first elbow onto the bottom of the gutter with caulk and rivets before I install the gutter. I then double rivet each elbow attachment together, except the one elbow already on the gutter, so the downspout can be removed if needed without damaging those downspouts. Simply speaking it is a gutter debris strainer that is mounted lower to the ground in the downspout, where the Homeowner can easily access it without a ladder or tools, instead of having to get up on the roof in the worst weather, when you finally notice you have a problem. A strainer up in the gutter outlet may help to keep the underground storm drains clear, but they are death to gutters and should be avoided. The only purpose of a Leaf-catcher (as seen to the left) is to protects the underground storm-drain pipes from getting jammed up with debris, but you want the gutters to continue to function and do their job to catch the rain water and deliver it to the storm drains. These storm drain pipes are there to carry the excessive rain water safely away from the house foundation. Without these storm-drain pipes in good working order you are better off with no gutters at all and allow the rain water to dribble off the roof edge evenly along the whole roof line and hit the ground at least as far away from the foundation as the width of your eaves. 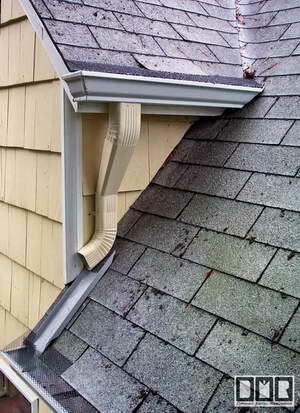 A clogged gutter is also worse than having no gutters; with it continually overflowing at the low spot on the gutter. I price Leaf-catchers on each bid when there is underground storm drain pipes. 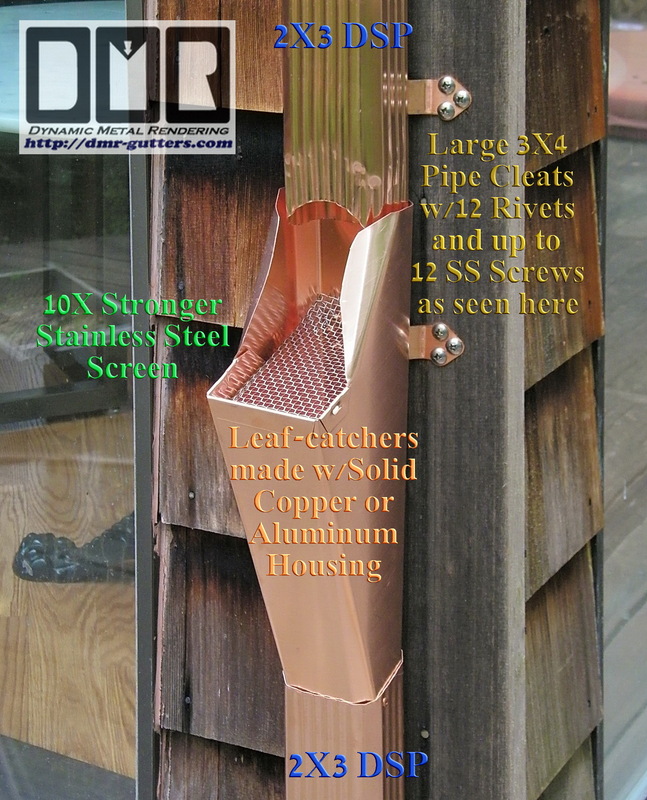 We are not the only source for this type of device, but I have personally made several design improvements over those other designs, and we fabricate these Leaf-catchers ourselves with aluminum or copper sheet metal, which is thicker than what is used for downspouts. Along with a high grade stainless steel screen, which is stronger than any other. A raccoon could not claw through this screen. We place this strainer in the downspout about hip height with this screen to catch the leaves before they can clog up your under ground storm drain pipes. Its a bargain at $60 to $80 each, compared that to the $75.00 or more per hour that Roto-Rooter type companies will charge you to attempt to clear out your underground storm drain pipes. If you are not local to us, you can still order them through our Parts Shipping web page with a satisfaction guantee. You will also find detailed installation instructions. 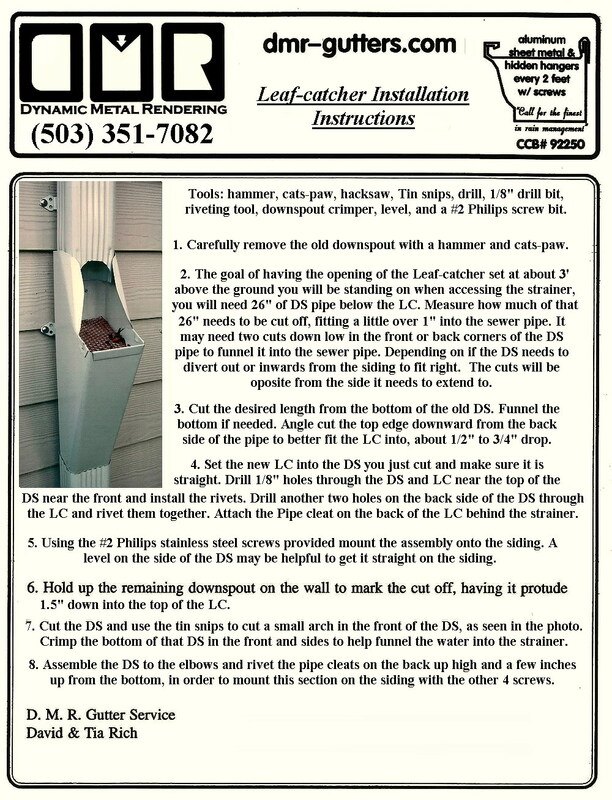 We also provide the special pipe cleats to remount the whole downspout, the rivets to connect it all, and even the stainless steel #3 Phillips screws to mount the downspout back on the siding, as seen in this photo.